Did you know that 80% of the fish stocks in the world are already destroyed or overfished? How would be Finland in the future without fish to eat? Can you imagine it? Aquaculture produces 20% of the fish in the world, it helps to feed us, but it is in danger. 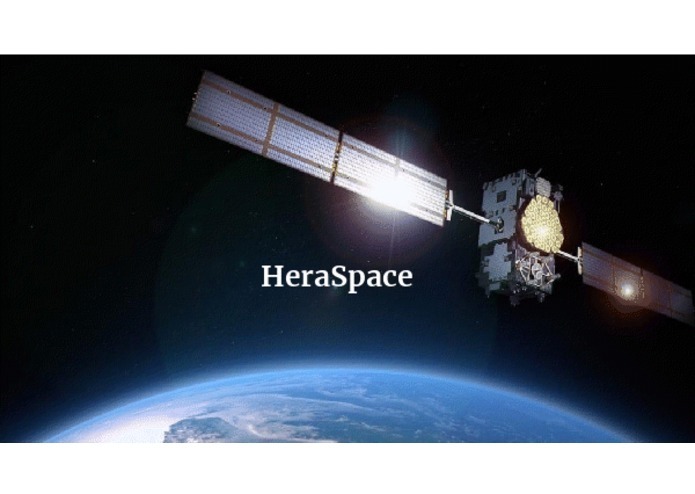 HeraSpace is working to solve that problem for you guys. HeraSpace helps insurance companies to predict harful algal blooms and that way save billions per year. I have built a 4 layered system in order to get for the first time an accurate and innovative harmful algal bloom tracking system. Using a combination of Copernicus data, CMEMS multimission data, and the coming (2021) PACE, it is possible to help the insurances, governments and health companies to prevent losses. This MVP uses the RAMANI API to call data product from Sentinel 2, and Sentinel 3 the first one is the main lense with 10m resolution, then the Sentinel 3 add the instruments OLCI, SRAL, SLSTR. Following the best CMEMS multimission data products adding temporal and spatial coverage. In order to optimize the resolution of the whole system a constellation of nanosatellites has been placed between the first layer (PACE) and the Earth. The very first layer (after the nanoatellites) will be the PACE mission which will be exclusively dedicated to detect harmful algal blooms. The others are on top of it in order to add more capabilities, like ocean colour. Blockchain will be added for adding transparency and unhackability. I am proud of have created a new idea which could be validated in order to put it on top of another fishing solutions, or be developed in a separated package. And the fact that this is a visionary approach, in order to get the maximum potential from the publicly funded PACE and Copernicus programs, working together with the goal of protecting the nutritionary interest of over a billion people, and helping companies to protect themselves from finantial loses. I have learnt about the best way to combine the Sentinel constellation together with NASA mission PACE, and about the RAMANI API, which can be very useful for example when writting a MVP. It can save a lot of time during the process, and also can be properly used for the development of complete commercial products. The roadmap is basically to get access to an ESA BIC, ESA funds, and crowdfunding to create a proper prototype, validate it with early-adopters and hopefully get commercial. I ahve worked from ideation, conceptualization, and prototyping of this innovative and new idea.